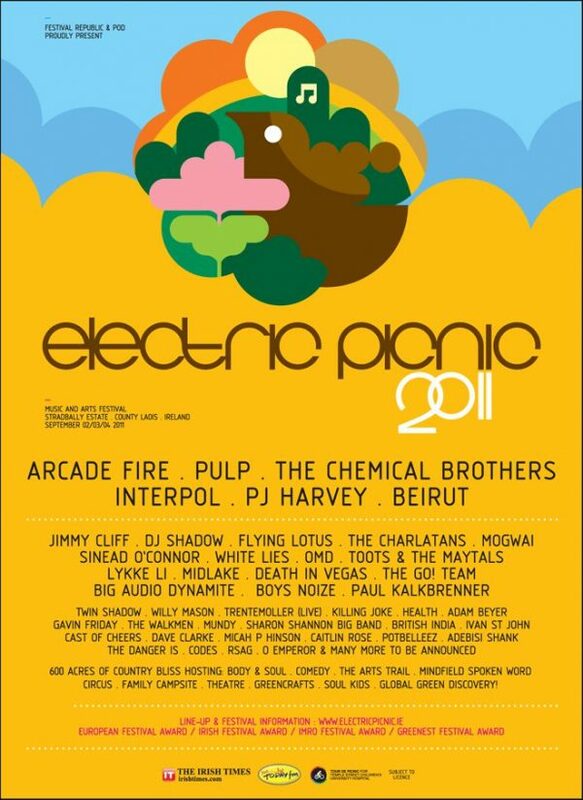 The line up for electric picnic is looking good this year, the festival will take place at Stradbally Estate, Co. Laois from September 2-4, and some of the acts that are to be at this year’s festival include, Arcade Fire, The Chemical Brothers, Sinéad O’Connor, White Lies, Gavin Friday, The Walkmen, Sharon Shannon Big Band, British India, The Cast of Cheers, The Potbelleez, O Emperor, and the list goes on! The comedy scene also looks good with the comedy tent accommodating some of the biggest and brightest names in the world. All tastes and styles will be catered for, ranging from the musical styling’s of ‘Dead Cat Bounce’. ‘The Rubberbandits’, and hip hop improv masters ‘Abandoman’, to the finest proponents of straight stand up. The line up will be announced over the coming months but rest assured it will once again include the very finest Irish and International Comedians. Fossett’s – Ireland’s national circus will also be at the Electric Picnic. The rolling lawns of Stradbally Hall provides the perfect setting for a feast of music, entertainment and food. The ancestral home of the Cosby family is a picturesque 600 acre estate, complete with lake, surrounded by ancient oak and chestnut trees. Stradbally Hall is located only 15 minutes from Dublin just off the M4 motorway. A weekend ticket to the electric picnic automatically includes camping. The campsites open 9am Friday, September 2nd, and close 1pm Monday, September 5th. A weekend camping ticket will cost you €240, a Sunday ticket will cost €99.50, and a campervan ticket will cost €60. 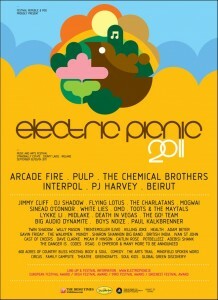 For more information visit electricpicnic.ie or visit their Facebook page.